Even you, you can become a great artist! Fight the subjectivity when you try to sell your art to rude customers. 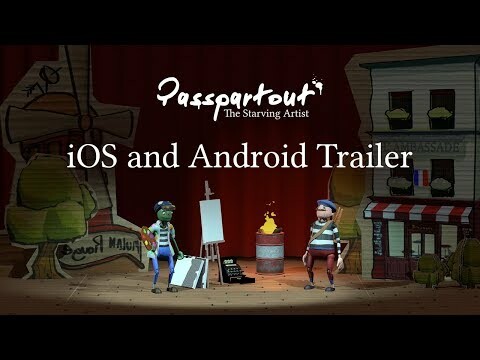 Passpartout puts you in the shoes of a French artist who tries to navigate a confusing artistic scene. Paint and sell your own art to survive your wine and wand addiction. * Paint your own masterpieces! Even you, you can become the next Van Gogh! * Fight with subjectivity and try to charm a variety of self-proclaimed art connoisseurs without losing your "artistic integrity"! * Survive your wine and baguette bills. Will your addiction to chopsticks be your loss? * Unlock galleries and more chic customers! * Discover the world of French art through a live puppet theater!